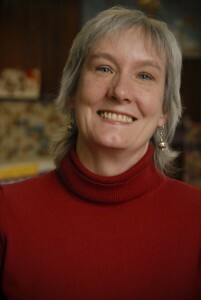 Ann Lacey, Youngest Group Lead Teacher, loves to recap heartwarming, often hilarious, tales about each Agassiz child. Her stories are highlighted by her boisterous laugh, as well as by stacks of photos she shows that bring the stories to life. She clearly loves her job, and her students. As Ann speaks, her bright blue eyes light up. “Did you see these?” she beams. Hanging behind us, glued carefully to the wall are several art and painting projects. “Aren’t they precious?! ?” she croons.